The manufacturer – Kawai Musical Instruments Manufacturing Company Limited was founded back in August 1927 [wiki]. Since then, Kawai Pianos are famous for their fine hand-craftsmanship, a combination of both innovative design and advanced technology built within a piano, making them one of the favourite choices among pianists around the globe. Milestones: distributing to over 80 countries, receiving over 43 major international awards for excellence in the past 17 years and was the 2nd largest share of piano sales in the world [wiki]. 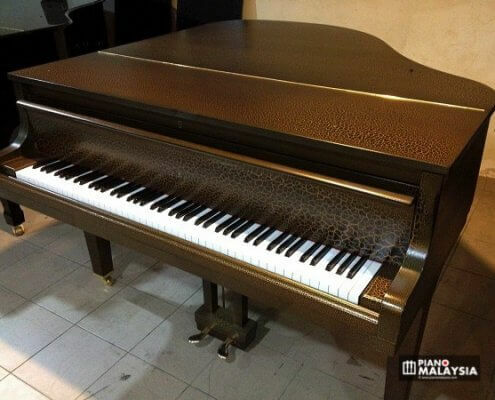 Below are Kawai pre-owned models that our company import and supply. These pianos (uprights and grand pianos) all originate from Japan as used. We have them locally restored to their best possible pristine condition by our qualified technicians. We have categorised them into piano types and price range to ease your navigation while browsing for the right piano. Therefore, please select a piano that best suits your purpose as a beginner, for teaching purposes, piano upgrade etc.